Maintaining your furnace is an essential part of keeping your home comfortable and efficient. At Triple H Home Efficiency Experts, we specialize in a full range of home heating services, including replacement of furnaces and boilers. If you need a new installation for your home's furnace or boiler, call the experts at Triple H Home Efficiency Experts today! We offer free estimates on all our work in Amityville, Babylon, Copiague, Deer Park, Lindenhurst, North Babylon, West Babylon, & Wyandanch. 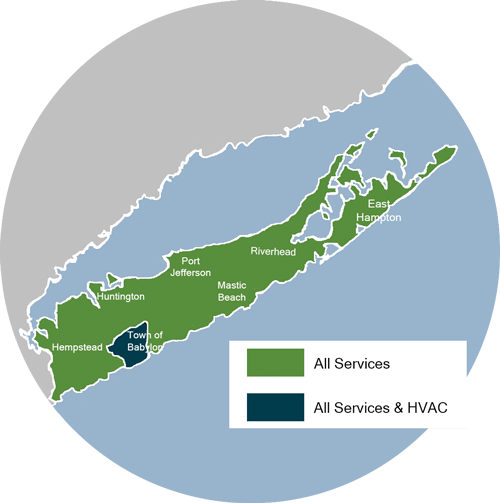 A poorly functioning heating system can be a problem for any homeowner, but Triple H Home Efficiency Experts is here to provide professional heating services. You can count on us for a thorough evaluation and complete solutions. If you need any replacement services for your home heating system, the experts at Triple H Home Efficiency Experts can help. We offer complete evaluations and can handle any problem you may have. Call us today for a free estimate on furnace or heating system installation. We provide all our services in Babylon and the surrounding areas.